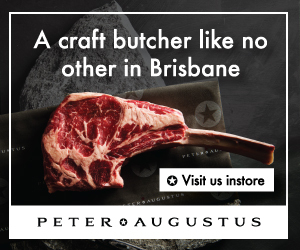 Not one to shy away from a challenge, Vinny has cooked in kitchens all over the world – from the French Alps, to Sydney, back to his home country of England, and now Brisbane. The award-winning chef recreated this burger as a weekly special at Brisbane’s laneway burger bar, Red Hook. With this recipe, you can make it anytime. I was working in a food truck back in the UK called Provenance Kitchen. It was an old 1967 silver airstream trailer, a friend of mine owned it and we did modern British food – think mackerel, partridge, peasant, local lamb and other cool interesting stuff. There was this other food truck that did burgers, so I wanted to do a burger and make it better than theirs – we made this burger. Preheat your barbecue on high heat. Mix up the dry rub, then lather it over the brisket cut. Drizzle olive oil on the grill and drop the meat onto the heat. Colour it for 10 minutes with the hood down for added smokiness. Preheat the oven to 100C. Transfer the brisket to a oven pan and add 1L of beef stock, wrap with tin foil and bake for 12 hours. Alternatively, you can cook brisket in the barbecue over indirect heat for 12 hours with the hood down. Once done, pour the pan juices from the oven tray into a saucepan and add the ajar. Bring it to the boil and then set aside. The brisket should have cooled enough to pull out any sinew before shredding the meat with two forks. Once shredded, pour half of the pan juice sauce over brisket and massage it into the meat. If it dries up, add more sauce. Lay out cling film and place the shredded brisket on top, moulding it into a 10cm wide log. Roll it up in the film and chill. While it’s cooling, mix kewpie and sriracha to create a sriracha mayonnaise. Also mix the ketchup, hoisin and liquid smoke for a smoky hoisin ketchup. Once the brisket is cool, slice patties from the brisket log about 1 inch thick. In a frying pan with olive oil, cook each side for about five minutes. This will create a crunchy crust on the outside, while the inside remains soft. Slice the buns in half and spread the sriracha mayonnaise on one side, and the smoky hoisin ketchup on the other. 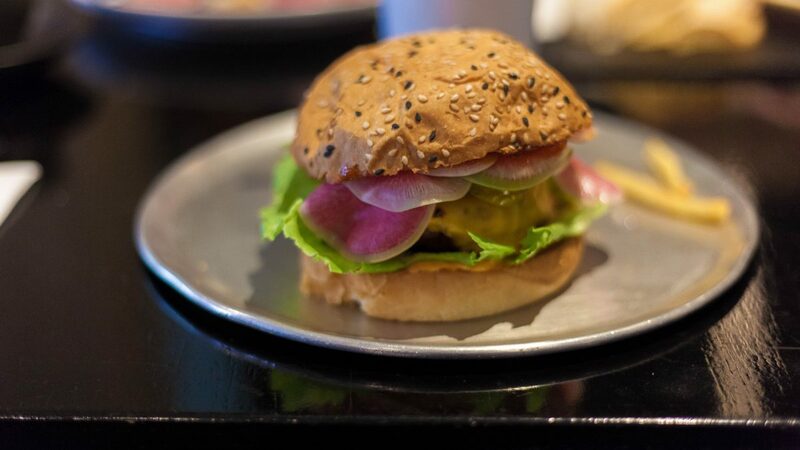 Lay down the pickles, watermelon radish and other salads of your choice before dropping in the brisket pattie. Tip: Liquid smoke can be purchased online. 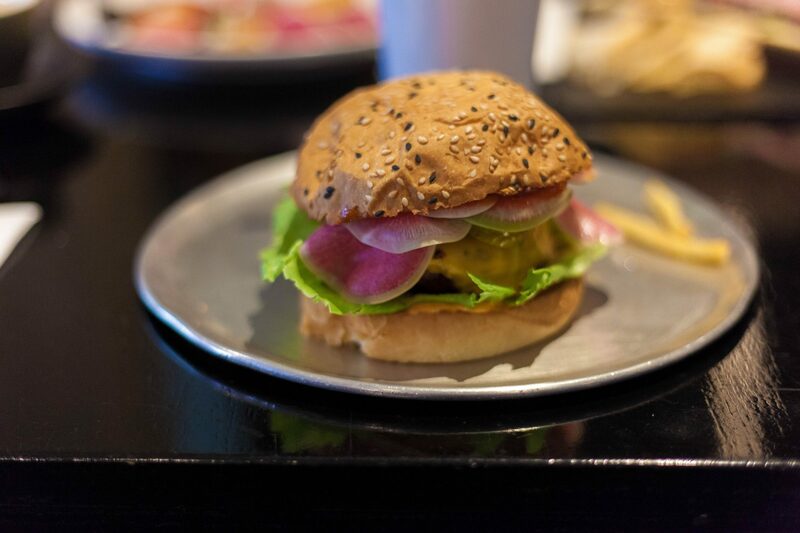 The bun and pickles add enough crunch, but feel free to add slaw, bacon jam or other toppings of your choosing.